As a top talent in the junior karting ranks, Anthony Gangi Jr. recently closed out his 2014 season at the 18th running of the Superkarts! USA (SKUSA) SuperNationals, and is now set to make a mark in 2015. Completing his first full season in junior competition in 2014, Gangi Jr. was a threat for victory at each event, and while luck may not have always been on his side, the young gun continues to prove his talent and determination. 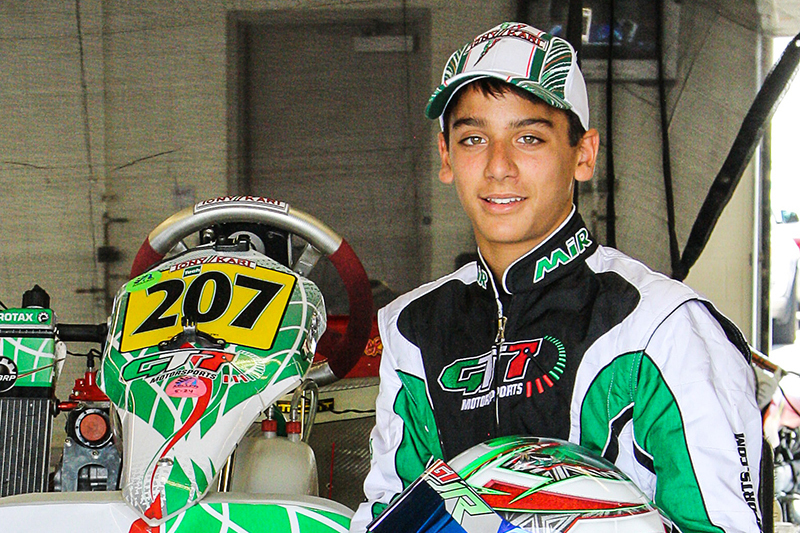 Starting out 2014 at the prestigious and competitive Florida Winter Tour (FWT), Gangi Jr. would focus on his Rotax Junior program while in the sunshine state. Battling the stacked fields the FWT is known for, the two-time Florida Winter Tour champion claimed several top-ten results which added to a top-ten in the overall points championship. Turning his focus to the United States Pro Kart Series (USPKS), and joining forces with new tuner and driver coach Thomas Silva, Gangi Jr. would leave the season opener at the GoPro Motorsplex victorious. 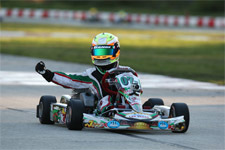 Earning his first USPKS Leopard Junior win, the stage was set for a promising run in the series. Heading west to the Miller Motorsports Park for more Rotax action, the rising talent took on the Rotax Summer Shootout in advance of the Rotax Grand Nationals. 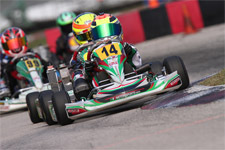 Never running outside the top-five the entire event, Gangi Jr. claimed the Saturday victory and another podium result on Sunday. 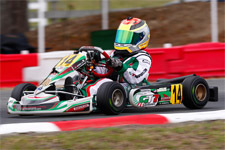 The Brookville, New York resident established himself as a strong contender for the Rotax Junior US title, as he looked to add to his 2010 US Micro Max title and 2012 US Mini Max title. With not only a third title on the line, but also a spot on Team USA for the Rotax MAX Challenge Grand Finals, the pressure was on Gangi Jr. for the 2014 Cold Stone US Grand Nationals. 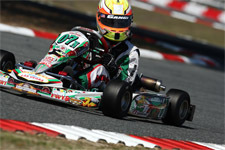 As one of the youngest drivers in the Rotax Junior field, the up-and-coming driver was the one to beat. Claiming sixth in qualifying and third in the Super Pole session, Gangi Jr. started his bid for the 2014 title off right. Adding two heat race wins and one second place result, Gangi Jr. scored the pole position for the all-important prefinal race, where he would finish second. Falling to fourth at the start of the final, Gangi Jr. worked his way back to second before disaster would strike. Losing power to his Rotax engine with seven laps to go, Gangi Jr. endured the ultimate heartbreak after such a strong showing. Putting this all behind him, Gangi Jr. would next take on the USPKS series finale at the New Castle Motorsports Park. Unable to add to his victory from round one, the hot shoe did claim his fourth podium result in the series and third overall in the Leopard Junior championship standings. Switching once again to his Rotax efforts, next up for Gangi Jr. was the Cold Stone Rotax Pan American Challenge in Mooresville, North Carolina. Again the driver to beat, Gangi Jr. claimed the pole position from both qualifying and the Super Pole session, as the rising star had the speed to add Pan Am champ to his esteemed resume. Taking one heat race win, hard racing and a treacherous turn one at the GoPro facility saw Gangi Jr. sit seventh on the grid for the prefinal. Moving to fourth in the prefinal and the fastest kart on the track, things would again not go his way in the final. A victim of the turn one melee, Gangi Jr. never gave up and completed every lap to finish in 24th. With one race left on his schedule, Gangi Jr. would next head to Sin City for the biggest event around, the SKUSA SuperNationals. Named “one to watch” in the TaG Junior field, Gangi Jr. didn’t disappoint as he ended 2014 with a heat race win, a feat in and of itself at the ultra-competitive event, and a third place podium finish in the final. After a successful run during his sophomore season in the junior ranks, Gangi Jr. is now set to contest 2015 as a veteran in the class. 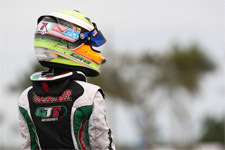 The multi-time champ will again start his year at the Florida Winter Tour, contesting both the ROK Cup USA and Rotax weekends. 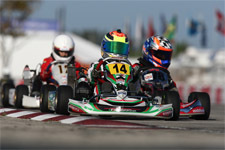 Looking to improve upon last year’s results, Gangi Jr. will also be seen again in the USPKS series and will add the SKUSA Pro Tour to his schedule. And after two heartbreakers in 2014, Gangi Jr. will be back with a vengeance at both the US Rotax Grand Nationals and the Rotax Pan American Championship. Anthony Gangi Jr. would like to thank everyone involved for helping make his 2014 season a success: Team GT7, tuner/driving coach Thomas Silva, Daniel Lambert (Disco Dan) for the always-great power, Daniel and Gary Woltjer of Woltjer Engines, Mike Doty of MDR (Mike Doty Racing), as well as sponsors GT7 Motorsports, Millwork Solutions, Hole Shot Drive Systems, PKT, and Hot Head Engine Preheaters.